It was an adjustment going from daycare to Montessori school for me as well. I no longer get daily updates on what they did or if M slept at nap time or not. I think this would have been the case as she transitioned to the preschool room at daycare anyway. We do get these amazing newsletters from her new school. Each one contains tons of information on stuff they are doing in her classroom and at least one photo of each child working with some piece of “work.” This is the latest photo of M.
M is working with the spindle boxes. This is a math material that helps the children see in a concrete way the value of zero as a place holder. 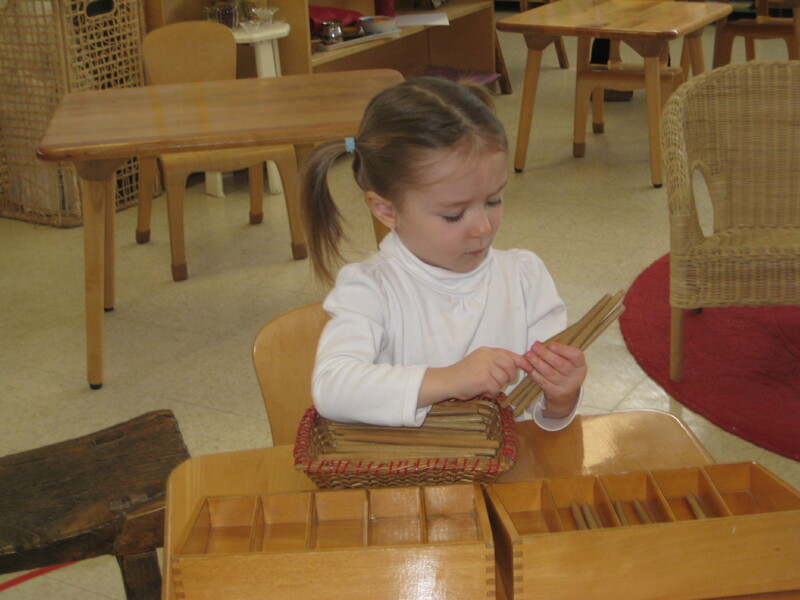 This entry was posted in Miss M., Montessori, Preschool. Bookmark the permalink.